Driver mobile app also provides an option to update the shipment in bulk. 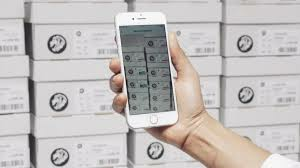 for example if there are 500 shipments are ready to dispatch a driver can simply set the status update once and keep scanning all the shipment barcodes to update all of them. Scanning through a smartphone camera allows a driver to scan a barcode without any additional device.also inbult camera provides more accurate and faster scanning response compared to additional scanner device.